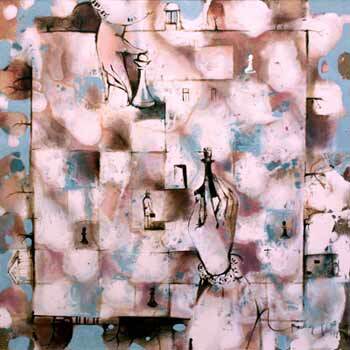 In November 2008 a solo exhibition of Tatiana Grinevich was held at “Souz Tvorchestvo” art gallery in Moscow. The project is named “Hand Made” since a specific conception embraces all displayed artworks. Tatiana was born in 1980 in Maladzechna, Belarus. In 2005 she graduated from the Belarusian Art Academy and worked as an instructor there in 2006-2008. 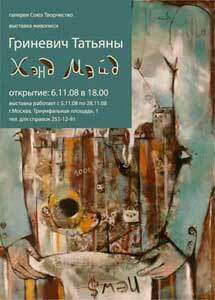 In 2005 Tatiana became a member of the Belarusian Artists’ Union. Her works are at the private collections in Belarus, France, Russia, Poland, Italy, Germany, the USA, China, Lithuania and Latvia.